To answer the question of what fairies are, it is perhaps best to begin by coming to an understanding of what humans are. Our knowledge of fairies springs from our encounters with them as well as the stories we tell about them, therefore, to properly understand fairies, we must become familiar with what was perceived as our relationship with them. Ultimately then, we have to conclude that humans in mythology are not a separate species from nature, but that like the fairies and deities we are a direct descendant of these things. In one of the most famous stories of humans encountering fairies, two fairy children - a girl and a boy who were green in color - were taken in by Sir Richard de Caine at Wikes. Scared and saddened at finding himself in the human world, the boy eventually died. However over time, the girl became human; though she remained “rather loose and wanton in her conduct.” (Keightley, 1870) What this shows us is that it was believed that fairies could become human simply by living among us. One could say than that we are actually a stage of the fairies’ life cycle. In over half of Europe’s myths, humans came from trees whose souls are those of the fairies and deities while the rest of European myths claim that humans are descendants of a deity of the underworld. This is significant because Celtic belief holds that many fairies live within and come from the underworld as well. Despite this relationship however, it is also clear that humans are distinctly different from fairies. As Jacob Grimm points out, humans physically lie somewhere between the realms of fairies and giants. So while fairies hold power and sway over us, they stand in awe before us. (Grimm, 1835) It is relatively common in mythology for humans to capture leprechauns in order to steal their treasure, or to threaten the lives of tree fairies to force them to provide us with fertile fields. Furthermore, some reports also say that fairies abduct humans to strengthen their sickly line (Briggs, 1967). This shows that not only are humans physically stronger than fairies, but also we are close enough to bear children with them. Fairies themselves are not afraid of losing their powers by bringing human blood into their line. This close relationship between humans and fairies will come clearer in the Chapter “Humans Become Fairies” of this book. 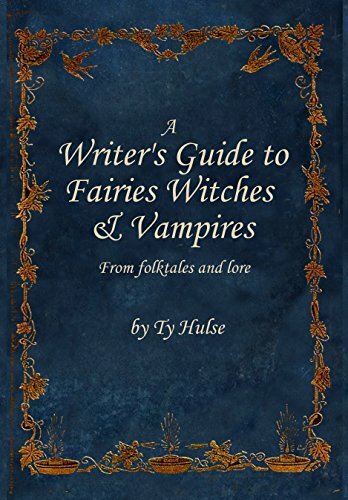 Some interesting questions arise from these stories regarding fairies and humans. Firstly, if we are so close to fairies why is the world of fairies such a mystery to us? Why are humans mortal while fairies are immortal? Why do we lack the fundamental knowledge of nature that fairies have? The truth of the matter is that most humans lack magic and immortality; there have however been many humans throughout myth and folklore who have found immortality and magic through druidism, witchcraft, wizardry, and the arts of the cunning folk. Even by simply visiting the realm of fairies humans have actually found their place among them. Despite this, however, most humans lack such powers, leaving us to wonder why this is so? There are three possible answers to these questions. First, we must recall that the deities were not the first beings. They joined together to kill the first being; and just as the deities killed the first being, so too perhaps could humans displace the deities. So allowing us to understand all the secrets of nature the way other fairies do could be dangerous. Indeed, Zeus forbade teaching humans the secrets of fire and many other arts out of fear of what humans would do with this knowledge. Fairies, too, desire to keep secrets from humans. For in the same manner that they will capture us to be their spouses, so too will we capture them out of greed for their treasure or to fulfill our own lustful desires. Indeed there was a dwarf who told humans directly that they were mortal and weak due in part to their “faithlessness” (Grimm, 1935). What we see then is that humans are believed by fairies to be their treacherous descendants, so it is possible that the secrets of magic have been concealed from us simply to keep us from being even more dangerous. Secondly Germanic and Scandinavian myths also tell us that Odin will eventually need the souls of dead humans to help him in his final battle to prevent all things from being destroyed. So it is perhaps necessary for humans to be mortal so that we can join his army. This could also be his reason for creating us. Briggs points out that one aspect of fairies is that they can never mature or be the hero, while humans on the other hand can mature and grow physically strong. (Briggs, 1967) Saving the world from Armageddon requires something other than capricious or playful beings. Instead, it requires creatures that are not afraid to die, beings who seek out the warrior’s life and are always striving for more – these are qualities of humans that immortal and magic-bearing beings would have difficulty obtaining. Odin is not the only one in mythology who needed humans. In the Welsh story of Prince Powell the fairy king seeks out Powell in order to get his aid in slaying a monster that the fairies cannot kill. (Griffis, 1921) Water dragons would seek out humans as far away as Japan in order to help them battle with unclean beings that they could not fight themselves. Humans, then, are perhaps made to be a mortal form of fairy which is ignorant of magic due to the fairies and deities need for a human hero’s to help protect them. Finally, another possible reason why fairies keep humans ignorant is because deities and fairies enjoy sacrifices such as bread, clothes, gold, or even the living beings that are offered to them. Such sacrifices denote humans’ respect for the deities and fairies. In the myths and stories, fairies respond to these acts despite the fact that they seem to serve little purpose for them. This is obviously the case in stories such as “The Three Little Men in the Wood” where the fairies give a girl great gifts such as an unlimited supply of gold in return for providing them with a small crust of bread. (Grimm and Grimm, 1812) It seems odd that such respect should be the only reason that such rituals are observed, or that the fairies and deities seek these rituals while getting nothing from them. To understand this better, we need to examine the nature of historical beliefs about magic. At its most basic level, magic is a sympathetic human action, a ritual combined with a thought which causes a desired outcome (Fraizer, 1890). This gives credence to odd rituals such as burning an effigy of someone in order to cause them to suffer, weaving a knot to bind someone, or painting an animal so that we are later in a better position to kill that animal. When we offer something to a fairy, it could then be taken as a sympathetic action directed positively for the fairy. In other words, sacrifices essentially provide the fairy with blessings. Moreover, through these myths, we find that our sacrifices lend the fairies strength. If we understood everything that they did, then we would not have needed them anymore so they would not have received strength in the form of sacrifices from us. As we’ll see further in the “What are Deities” and “Fairies are ancient Gods” sections of this book, fairies can become deities or lose their divinity based on human worship.